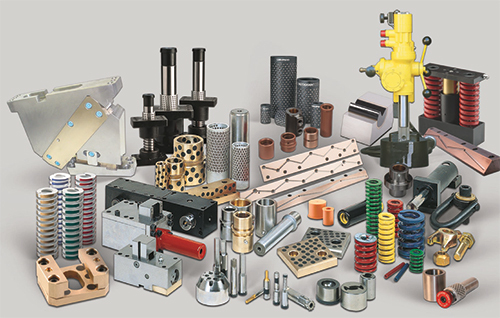 Anchor Lamina America, Inc., Farmington Hills, MI, provider of Danly, IEM, Lamina and Lempco brands, will showcase tool, die and mold components manufactured for the metalworking and plastic injection-mold industries. New to the display this year: Danly shorter spring lengths, including the ¾-in. free length, added to the 3⁄8- to ¾-in. hole diameters in rectangular design and round-wire die springs. Also on display: guide posts and bushings, mold components, wear products, die accessories, springs, cams, punches and retainers, Accu-Bend rotary benders, urethane, in-die tapping units, hydraulic equipment and drills.